Between 1965 and 1972 Helen Schucman recorded the internal dictation she received in a shorthand format. Helen would read the notes to Bill Thetford during daily meetings and he would type them up. Helen did not read everything received to Bill and while reading she would receive words to add and correct. The result of this process is the Urtext. Bill, following instructions from Jesus, edits the Urtext and the resulting document is shared with Hugh Lynn Cayce, the son of Edgar Cayce, Ken Wapnick and others. Ken Wapnick and Helen join together to edit the Hugh Lynn Cayce version. The word "Soul", heavily used in the first eight chapters, was removed because it was thought to be to controversial. 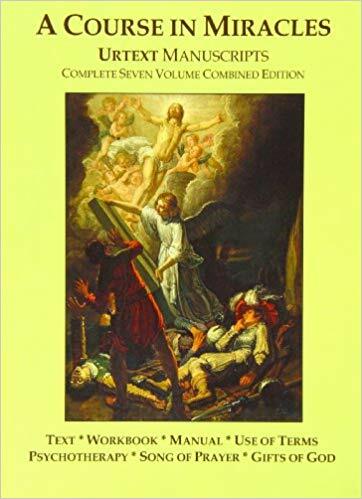 A combined version that renamed "Clarification of Terms" used in FIP to "Use of Terms" and moved it to the Preface, the Hugh Lynn Cayce version of the Text, the Workbook and Manual. Versions of the Course refer to the Text. The Workbook and Manual for Teachers are virtually the same in all versions. 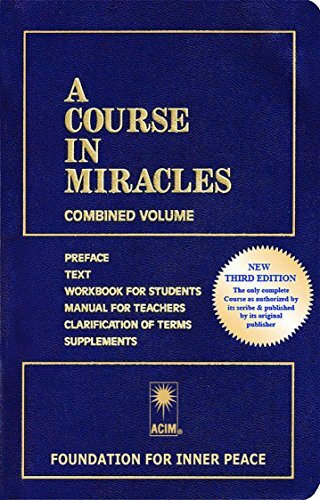 You can read more about the history of A Course In Miracles here. A comparision of different versions can be found here. Editing of the Course that resulted in the Foundation of Inner Peace edition and the the Foundations tight enforcement of copyright gave rise, after legal action, to other published versions of the Course. 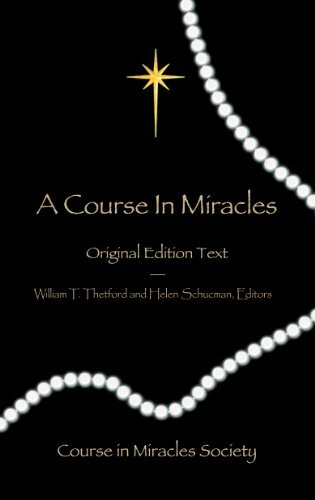 The first publisher of A Course In Miracles available on Amazon. 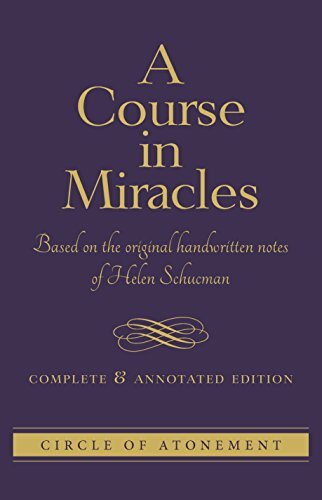 Publisher of the Combined and Annotated version of the Course based on the original handwritten notes of Helen Schucman. Available on Amazon. Publisher of the Original Edition available here. 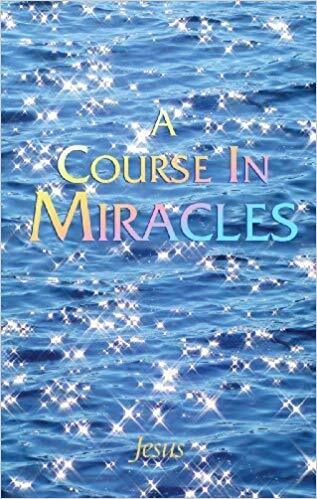 Publisher of the ACIM Sparkly Edition available on Amazon.